Eyes might be the mirror to your soul but your skin is a reflection of how you live. From the moment you wake up to the moment when you settle down to sleep affects your appearance. Since modern technology keeps many of us on the run on a daily basis it’s important to know when to slow down. Slowing down doesn’t necessarily mean cutting out daily activities but to approach them in a more relaxed manner. When Things go wrong people get stressed. Stress is a major factor that affects many health issues. Not only can it elevate blood pressure but it can cause our skin to break out. Many times stress is a trigger for acne and other skin problems. Even preexisting skin problems are exacerbated by stress. Whatever it takes, reduce situations that cause you to feel anxious and tense and squeeze in some more relaxed moments. Sun is another factor that can cause irreparable damage to our skin. Prolonged exposure to your skin causes wrinkles, ages spot and increases your change of skin cancer. It is imperative to use sun screen and to try to avoid being exposed when the sun’s rays are strongest. It also dehydrates you when you are in the sun too long. Drinking water not only cleanses your system but it keeps you hydrated, but water with a high mineral content can dry out your skin as well as many of the soaps used for bathing and showering. It’s best to stick with olive oil based soaps that are natural and don’t have chemicals added that tend to dry out the skin. 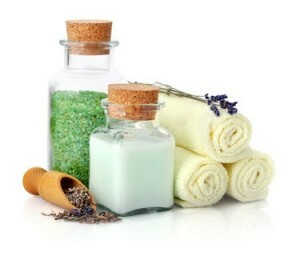 While in the shower or bath is good to get into the practice of exfoliating. Get rid of the old layer of skin to feel refreshed and regenerated. After the bath it’s important to moisturize and if you are going outside use a moisturizer with SPF sun protection. Another important factor is your diet. Healthy diets of fresh fruits, vegetables, and lots of fiber will aide in your overall health and help your skin glow. It’s important to recognize that what we ingest affects us on the inside as well as our appearance on the outside. So, needless to say do not smoke. Smoke depletes your skin of oxygen and nutrients and negatively affects the elasticity of your skin. It also smells bad. So, if you haven’t already tried to quit, now is the time. Your skin is the largest organ in your body and is a reflection of your overall health. It’s exposed to many elements and needs to be cared for. This entry was posted in Skin Care and tagged healthy skin on October 10, 2013 by admin.